Earlier this year, Canada Green Building Council (CaGBC) released a detailed roadmap for reducing greenhouse gas (GHG) emissions from large buildings (e.g. office towers, recreation centres, hospitals, arenas, and schools) across the country. 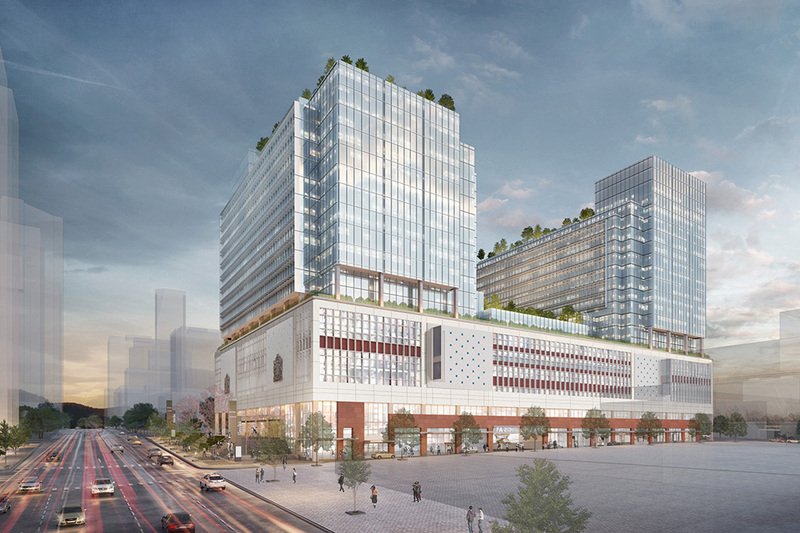 Rendering of a redeveloped Canada Post building in Vancouver. 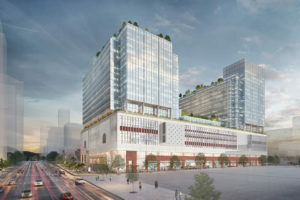 The redevelopment project of the Canada Post building in Vancouver by QuadReal Property Group is touted as one of the most ambitious heritage redevelopments in the country’s history, preserving the building’s architectural features through adaptive reuse. Developed and managed by QuadReal Property Group, The Post will feature 104,980 m2 (1.13-million sf) of office space, offering one of the largest column-free floorplans in downtown Vancouver. QuadReal has partnered with the City of Vancouver, MCM Partnership Architects, PCL, and Bentall Kennedy for this project. The Post will also provide more than 18,581 m2 (200,000 sf) of retail space that will cater to the needs of the growing and diverse neighbourhood. Upon completion in mid-2023, 7000 people will make The Post their office space. Amazon will occupy 35 per cent of the building. The project will also create 3500 to 4000 local jobs during construction. In terms of sustainability, The Post project will save approximately 25,000 tonnes (27,558 tons) of carbon by retaining the existing structure of the building. The office buildings will be designed to Leadership in Energy and Environmental Design (LEED) Gold Certification, and many energy saving measures will be employed during operation, including waste heat recovery, passive solar shading, light shelves, and an energy efficient building envelope. Pedestrian and transit-oriented, the area is steps from Rogers Arena, BC Place, QE Playhouse, and the library, as well as the future home of the Vancouver Art Gallery and False Creek Entertainment District.